Level 5 have announced than a new anime series, based on the delightful Professor Layton puzzle games, will air in Japan in 2018. Layton Mystery Detective Agency: Kat's Mystery Solving Files, is a name that doesn't exactly roll off the tongue, but at least expositions the series' plot. The show will star Prof. Layton's adorable daughter Katrielle, who solves mysteries around foggy London town with the aid of her assistant Ernest and her talking dog, Sherl, LIKE SHERLOCK, Y'SEE? 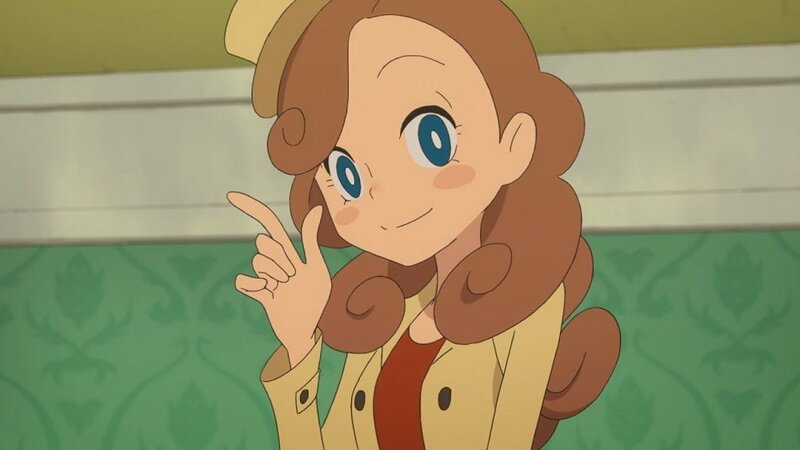 The arc of the series has Katrielle hoping to track down her top-hat loving dad, who disappeared while on a hot case. It sounds like it could be quite a charming series, given Layton's quaint style and characters. The show will see a Manga adaptation and there's even talk of a toy line. The Layton Mystery Detective Agency: Kat's Mystery Solving Files anime and manga launch in Japan Spring 2018.